Whether you are in the market to rent or buy a luxury apartment, or simply want to view stunning residences with incredible amenities and lifestyle upgrades, Midwest Home‘s Luxury Loft + Condo Tour has something for every home enthusiast. Attendees can experience luxury living at its finest by touring nine of the Twin Cities’ best lofts, condos, and apartments on the weekend of October 6 & 7. For apartments with a view, make sure to stop by V2 at Victoria Park Apartments overlooking the Mississippi River in St. Paul and The Lakes Lakefront Residences for spectacular views of Lake Bde Maka Ska. High-end finishes and resort-quality amenities can be found at 365 Nicollet in downtown Minneapolis, Talo Apartments in Golden Valley, and The Loden in Edina. 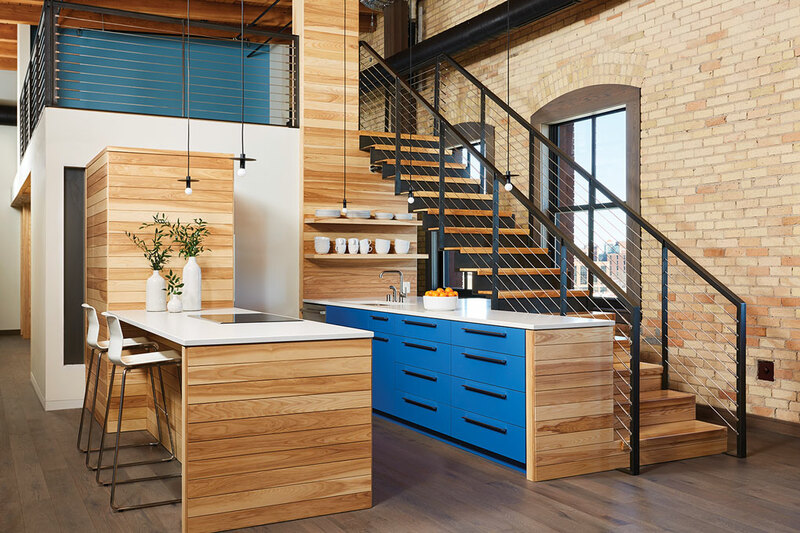 Chic, industrial lofts showcase the talent and craftsmanship of local builders and designers in remodeled units at Market House Condominiums in downtown St. Paul (Welch Forsman and MSR Design) and Security Warehouse in North Loop (Partners 4 Design). In the Lowry Hill neighborhood, Erotas Custom Building brings timeless elegance and grandeur to two residences that are ready to be customized with the future owners’ individual selections. During your adventures around town, stop by the free, bonus location to learn about the Lakeside at Lyndale Gardens apartments, coming soon to Richfield. VIP Event: To kick off your weekend of luxury, join Midwest Home for a VIP brunch buffet at 4 Bells in Minneapolis on October 6 at 10 a.m. $35 tickets include two complimentary mimosas and access to the tour. Claire Noack is the special sections editor for Minnesota Monthly and Midwest Home.